Roleplaying Games. They're pretty cool. Out now! 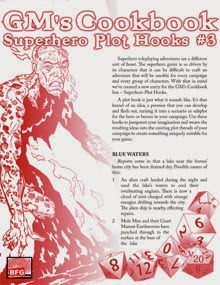 Superhero Plot Hooks #3! 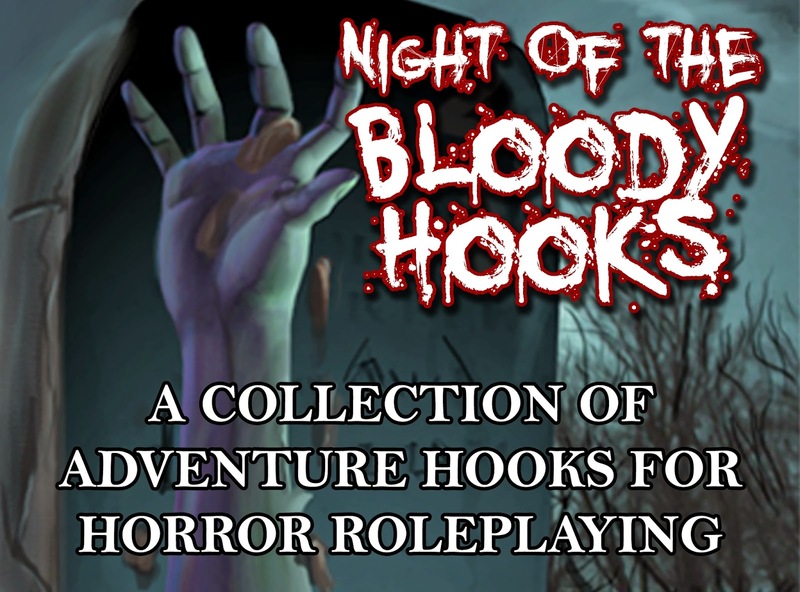 My NIGHT OF THE BLOODY HOOKS Kickstarter is coming to a close in less than seven days! Check it out before it's gone! The compiled print-on-demand version will never be available outside of this Kickstarter. Check it out! Back it! Can you spot the Gnoll? In our last session the party continued deeper into the mine to find a portion of it had collapsed into a larger chamber, revealing an underground lake or river. Secured there were two strange looking canoes that appeared to belong to the sightless creatures they had fought and killed. After pulling up one of the canoes they discovered it was made of giant insect carapaces held together with some kind of resin. During their retreat from the mine Ragnar examined the bodies and determined they were adolescent Grimlocks, a degenerate underground race that usually allies themselves with other subterrene entities. Upon emerging from the mine the characters noticed a figure seated in front of the stone tower in the north of the village. The figure did not respond to their greetings. 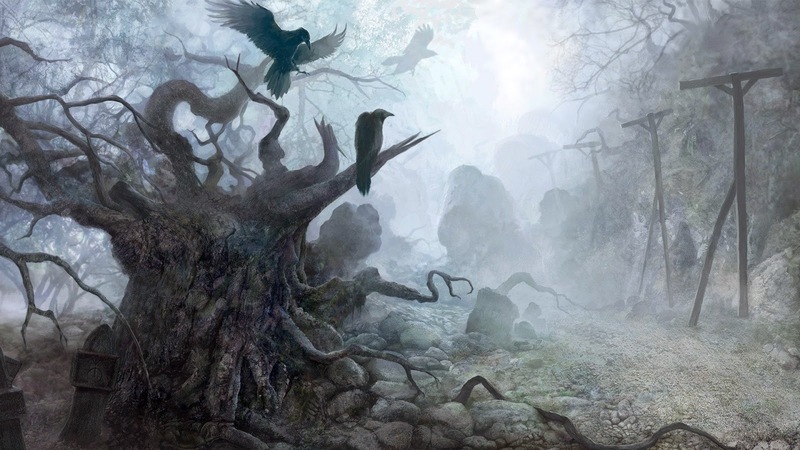 Approaching they found a man with a wild head of gray hair dressed in blood and mud spattered burgundy robes. He began to speak or recite something and seemed to ignore any communication. He turned to reveal a ruined and bloody face and that his eyes had been gouged out. He invoked a spell and the characters attacked with Bram dealing the killing blow. The characters fled the village at this point, taking with them supplies from the mine and the strange carapace canoe. What followed were days of fair weather travel along the coast and cold nights sheltering on the rocky shore. 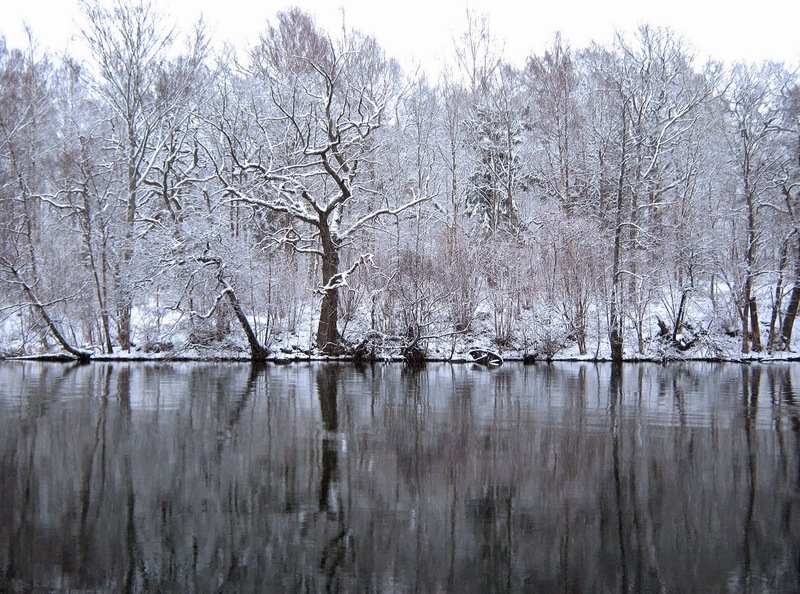 They found a river inlet that led north. Traveling inland they encountered what at first appeared to be a wolf drinking at the river's edge. As it came into view they saw it was a wolfman and Thurgo loosed an arrow at it. It's Gnoll companions broke through the cover at the bank and responded with arrows of the own. After several moments of hurried paddling and near misses, Thurgo's arrow found it's mark and the Gnolls retreated, dragging their archer with them. Hours later the party spied a small fishing village ahead. So I've dubbed my home campaign of LotFP "Sunken Lands and Forgotten Shores". I'm using the ruleset and plugging in a combination of homebrew material and adapted ODD, AD&D and Judges Guild adventures. My plan was to create and adventure hub and populate the surrounding area with ruins, dungeons, and some small settlements. I started by throwing the party into a bad situation and I thought it would set the tone for the game by the first adventure location being a burned down Hommlett. I set the village on the coast, in the farflung wintery North. I shipwrecked the party and let them wander around. So, this first hub was a bust. The party got spooked, and after only investigating a little they fled the area in a pair of fishing boats. I'll post my after action reports of the subsequent sessions. Check out our fine selection of gaming stuff over at RPGNow. Perhaps the city differed little from others, except in being older and darker; but to Phariom, in his extremity of anguish, the ways that he followed were like subterrene corridors that led only to some profound and monstrous charnel. The sun had risen above the overjutting houses, but it seemed to him that there was no light, other than a lost and doleful glimmering such as might descend into mortuary depths. The people, it may have been, were much like other people, but he saw them under a malefic aspect, as if they were ghouls and demons that went to and fro on the ghastly errands of a necropolis. The Dread Gazebo | A repository of Dungeons & Dragons awesomeness.